I met Joe at his hotel this March. He was down here for the Victoria's Secret Pool Party on the beach. My friend worked at the hotel & she gave me a heads up. I got the hotel around 2pm and went out to the pool because I heard thats where he was at. My mom noticed him in the pool with his friend but I didnt go to him yet. I just stayed at my little cabana chair and waited. He got out of the pool and headed to his private cabana & while on the way looked in my direction, so I glanced & caught him just staring at me the entire way over to his cabana. I gave a small smile & went about doing nonsense on my iphone. I went to the lobby when I realized he was getting ready to leave so I could get a photo before he got into the elevator. 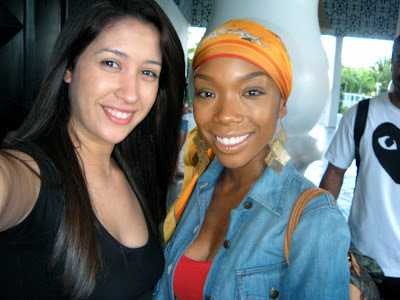 While waiting, I saw Chris Bosh (Miami Heat) and got a photo with Brandi (star of Moesha a long time ago). 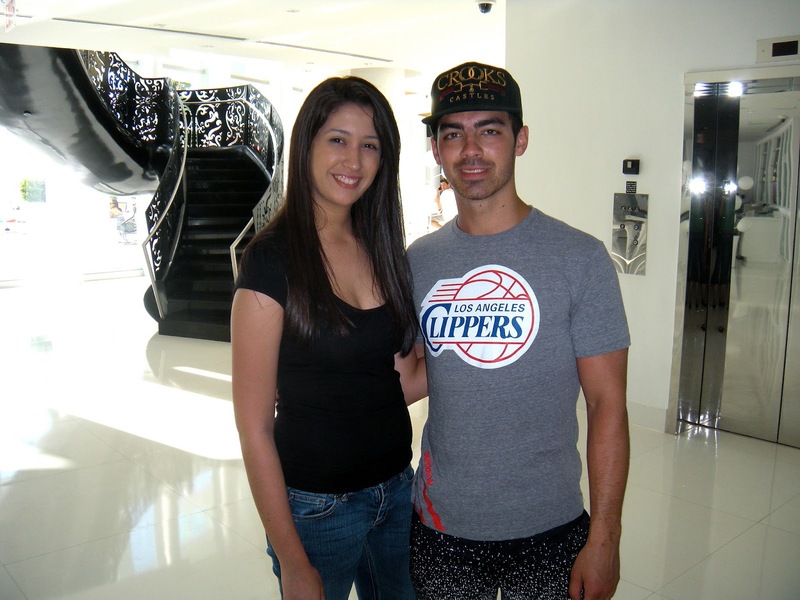 He finally got to the lobby & I asked for a photo. He said "Yeah, of course." My mom took the photo & he stayed around to make sure the photo turned out okay. I told him how much of a fan I am & how I cant wait to hear new music. He thanked me, said goodbye and we went our own ways."